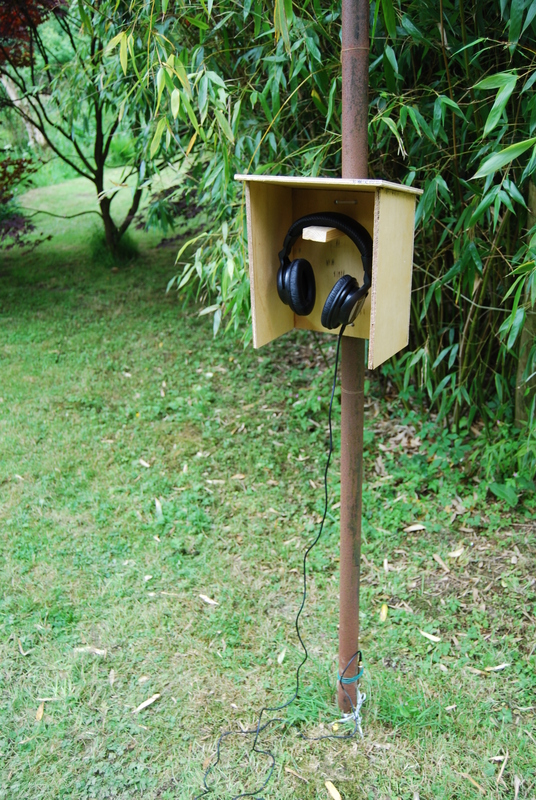 During a short group exhibition and residency called Rhôd in rural West Wales, I created a new site-specific installation called Y Gwylwyr (Sentinels): contact microphones in two existing bird-houses are amplified to a pair of headphones by solar power, each unit feeding to a different stereo channel. 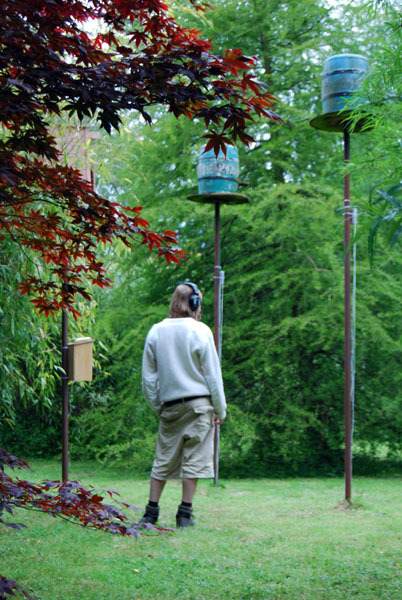 Environmental sound is amplified and subtly distorted through the reverberant characteristics of the bird-house chambers. 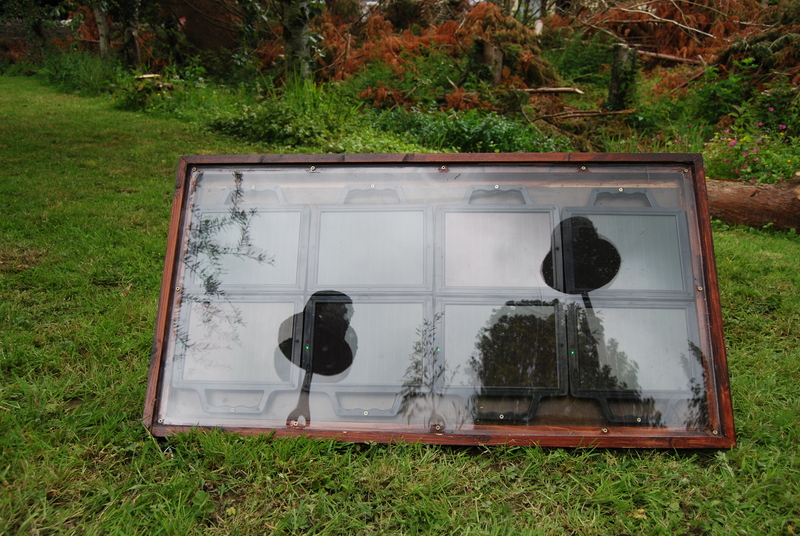 This sound was recorded on-site during a light shower. 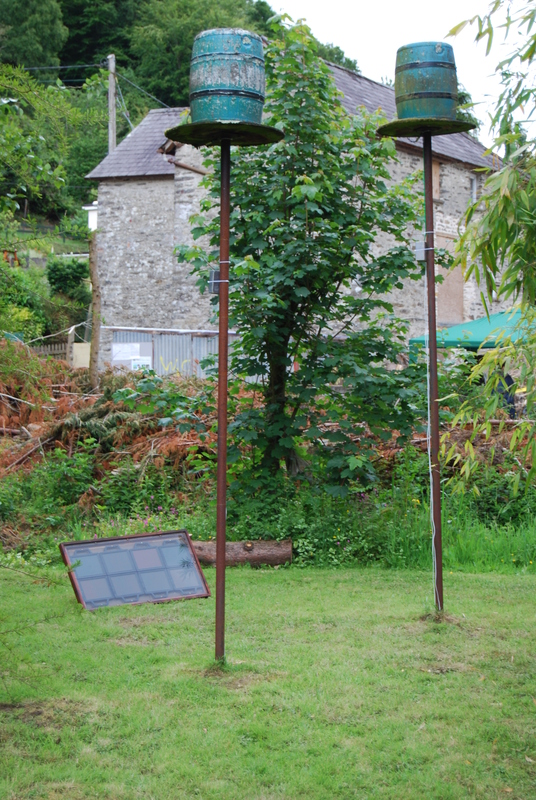 Shown at Rhôd, West Wales, June 2011.